On Friday, May 5, 2017, University School of the Lowcountry held its Annual Auction at The Schoolhouse at Albemarle in West Ashley. 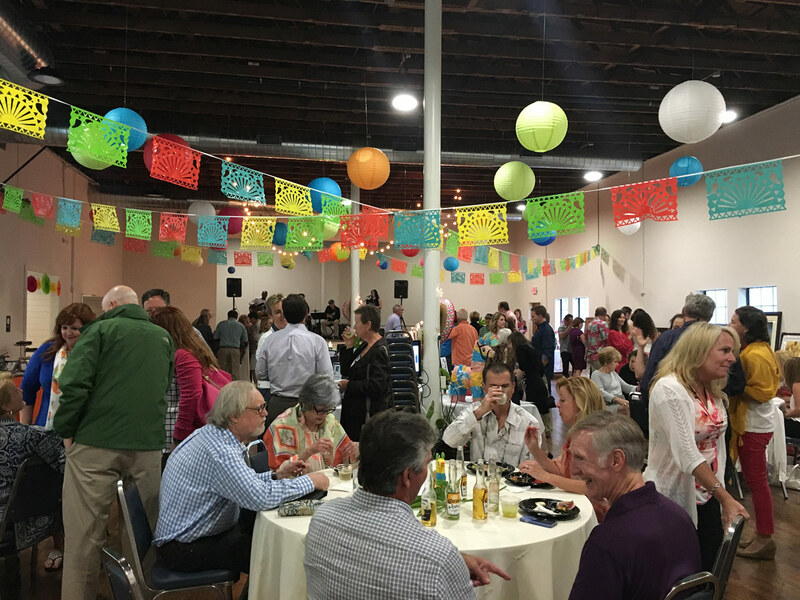 We enjoyed a Cinco de Mayo theme, great live music, and exciting items in both the silent & live auctions. The next Annual Auction will be held on Cinco de Mayo again this year; that's Saturday, May 5, 2018! All members, supporters, and friends of the USL community are invited to join us for this event. Donations are welcome and appreciated. Buying tickets and bidding on items is done through a program called Bidr — a venture based right here in Charleston! You can even preview auction items on the site! Bidr allows friends, family, and supporters the opportunity to bid and donate from their cellphones if they cannot attend in person! We will have fabulous food, great music and wonderful auction items! We are hoping that this will be our biggest auction ever! We are asking that all USL families support USL in its fundraising efforts by soliciting or donating items for the auction. We understand how busy daily life can be, but we are requesting that all USL families ask local businesses to donate goods, services or gift certificates. USL, through its many forms of service to the community, is an uplifting and positive presence. Most businesses don’t hesitate to make a contribution in support of USL and its mission. The proceeds of the Annual Auction support University School’s mission. The Annual Auction depends on parents and friends to donate items. Donations are tax-deductible as permitted by law.